One year later, I can still hear the cries. Our stalk along the edge of a forest-service road in east-central British Columbia had come to a halt before that first wail broke the silence, followed quickly by another. They came in short bursts and sounded like panicked screams for help, which is what made them so disturbing. It was also the precise effect we were going for. “I want to sound as much like a crying baby as possible,” my buddy and hunting partner Ryan Callaghan, of First Lite, told me. The cries came from the fawn-moose distress call he was carrying, and we were hoping they’d sound desperate enough to lure in the predator we’d seen moments before—a mature boar black bear. We let the area fall silent again and waited. ­Callaghan was crouched along on the left side of the road, while our guide, Jeff Lander, and I stood on the right edge. Just ahead, the road curved to the right, giving Callaghan a longer vantage. Five minutes hadn’t passed before he turned to look at us and mimed his right index and middle fingers to his eyes, as if to say, “Are you seeing this?” We weren’t, and I whispered back to ask if the bear had re-emerged. “He’s coming right at us,” Callaghan said. I dropped into position, resting the fore-end of the .300 WSM Kimber on my left knee. Lander hid behind me, and when the bear came into view, there was no doubt: He was a shooter. “That’s the kind we want,” Lander said. The bear lumbered down the road, and you could’ve added thunderous sound effects each time one of his giant paws landed. He kept to the roadside where an escape into the thick bush was only a stride away for him. He got within 60 yards when he began to turn to his right. If you want to get your summer off to a wild and adventurous start, you need to go to bear camp. I’ve hunted bears in April and September, and both experiences were great. But last year, I hunted bears in June—and that experience was incredible. It was incredible for several reasons—the people I hunted with, the friends I made, the wilderness I ­explored. But the fact that I was hunting in June also played a big role. Opportunities to hunt in the summer months are rare, especially for big game, so when you do get that chance, you almost feel like you’re getting away with something—like you won a lottery that granted you extra time to hunt. Many “spring” bear seasons in the U.S. extend into mid-June if you’re inclined to set up your own bear camp. Or you could do what I did, which is join a group and book an outfitter. Our crew of six arrived at the Primitive Outfitting headquarters, near Sinclair Mills, British Columbia, for the last week of the bear season. As Callaghan told us before the trip, “This place ain’t the Ritz,” but, to be fair, no one wants to stay at the Ritz for summer camp. There was a pair of cabins and outhouses, each of which was built for a singular purpose—cots and constitutions. There was also a main house, where Jeff and Lana Lander welcomed us like family. 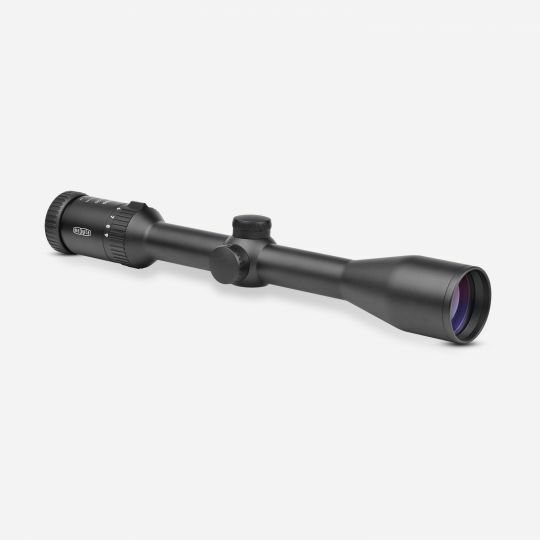 Lander has been outfitting spring bear hunters in British Columbia since 2005. 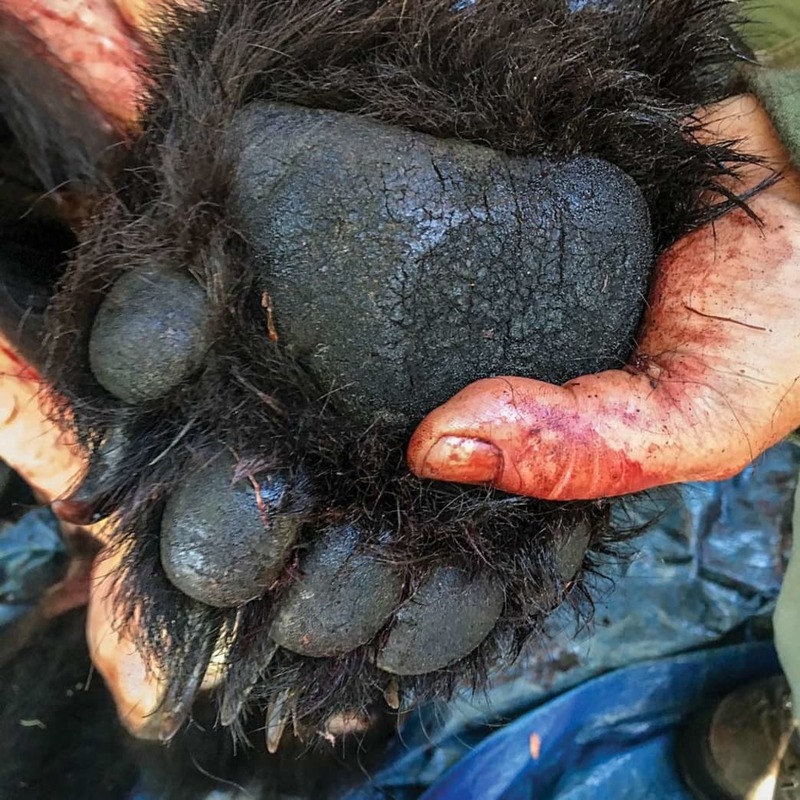 The area he hunts—nearly 1,000 square miles of gorgeous mountains and valleys—has one of the highest densities of grizzlies and black bears in the province. In the fall, Lander also guides bowhunters for trophy mule deer in Alberta. The road wound us past vast and jagged clear-cuts, over winding rivers that made you long for a fly rod, and through thick, thick bush. We drove slowly, and as we made each turn, I’d rise out of my seat, anxious to see bears around the bend. It was just past 6 p.m. when we had our first sighting. Jackson killed the engine and reached for his binoculars. The bears, a boar and a sow, were feeding about 300 yards away. Jackson could tell that the male wasn’t big, but the wind was in our favor and we had time. “Let’s go take a closer look,” he said. We hugged the edge of the road where the finer gravel muted our footsteps as we trotted ahead. We stopped to glass a few times before continuing on to get closer—and to escape the relentless mosquitoes. The final time Jackson halted us, the rangefinder read 170 yards. One last peek confirmed that the boar was medium-size, at best. I wasn’t after a trophy, but this first stalk was already thrilling enough that I knew I wanted more like it. Jackson turned back to me and whispered, “You willing to pass on a bear tonight that you’d kill on the last night?” I was. We retreated to the truck and continued the hunt. We made a few more stalks and tried calling but had no success. In all, we saw 10 bears that evening—the last of which we encountered back at camp. Rachel VandeVoort, who worked for Kimber at the time and is now the director for the Montana Office of Outdoor Recreation, was the first to tag out. 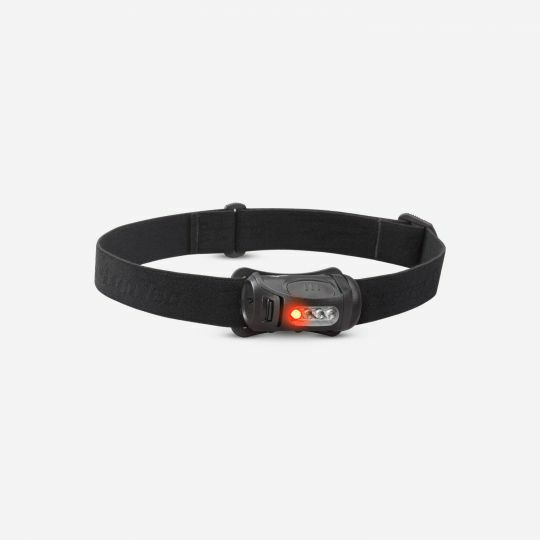 Even with headlamps, it was tough to get a good look at the black bear in the dark, but we could see enough to know that the bear was big and beautiful. Knowing this was VandeVoort’s first-ever bear, I was grateful to share in the experience with her. We built a fire and sat around the flames till close to midnight, comforted and satisfied that already, on day one, we had a bear in camp. Off the road was a clearing, and 25 yards into that clearing, there he was. I’m not great at guessing weight or size, partially because those details don’t matter much to me, but this bear was big—round and broad-shouldered with fat paws. What stunned me most about him, though, was his head, and not because it was the size of a beach ball, but because of the details within it. The ears had small bites nipped from them. Gray hairs had begun to sprout from his forehead, and scars engraved his snout. Beneath his lips was an agony of yellowed teeth—a broken canine, missing incisors, and cavity-ridden ­molars. Gazing into his face, wondering at those details, you couldn’t help but marvel at the life of this old bear. Now it was Callaghan’s turn, and we hunted till dark. We got out and called some more, but no other bears left the bush. On the drive back to camp, we relived and retold the story of my bear, of our hunt. Another quality of bear camp that makes it such a natural fit for summer is the downtime during the mornings and early afternoons. One day, a group of us hiked a trail that led to the spectacular Angels of the Mist Falls. Trout fishing was another option. Or you could kick back with a good book. Something about that downtime, to me, perfectly captured the lazy freedom of summer. My favorite afternoon was the one I spent butchering my bear on the back of a tailgate. Simultaneously, that process concludes a hunt while also prolonging the experience; at home, every meal I make from this meat will spark a memory from the hunt and this camp. I was in no rush with the knife that afternoon. As is the case on the best summer days, I had all the time in the world and nowhere I needed to be. 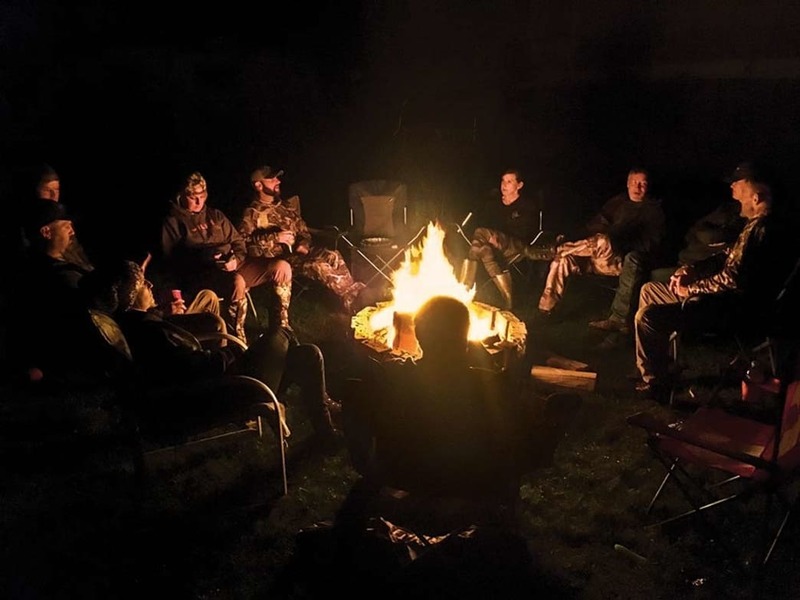 No bear tags were punched that evening, but you wouldn’t have known that by the campfire festivities that followed. The night, like the fire itself, was a rager. It started out simply enough—s’mores, stories, and some modestly volumed tunes. But then second, and third and fourth, winds were caught. Beers and bottles were opened. Classic rock (and perhaps some Sia) was blared—and sung off-key, ear-​­piercingly off-key. At one point, I laughed so hard, I fell out of my chair. Later on, rain also fell, but it was no threat to our fire. We fed a small forest into those flames. You would’ve thought this was our last night—our grand finale—but we still had two days left. Maybe that’s why we were in such high spirits, because we knew we could keep hunting and having fun. Here’s another thing about that night: There were 13 of us, only three of whom I’d met before this trip—and even them I only knew casually. The rest were complete strangers. But there we were, acting like old friends and having the most fun I’ve ever had around a fire. The memory of that night hasn’t faded; neither have the sounds of the shouting, singing, and laughter. One year later, I can still hear the cries of bear camp. Just when I thought our black bear camp couldn’t get any better, my friend Rachel VandeVoort unpacked the stash of blow-dart guns she had brought—one for everyone at camp. We had a blast huffing and puffing at archery blocks and tree stumps, and seeing how far we could send the long-needled darts across the yard before they stuck to the outside of our cabin. That was all fun, but the best time we had with these toys was on the last day, when VandeVoort challenged a couple of us to blow-dart H-O-R-S-E. Same rules in the basketball version apply: Pick your target and call your shot. If you make it, your buddies have to match it or else they get a letter. If you miss, the next person in line calls the next shot. We fired at fence posts and targets so far away, they tested the limits of our lungs. 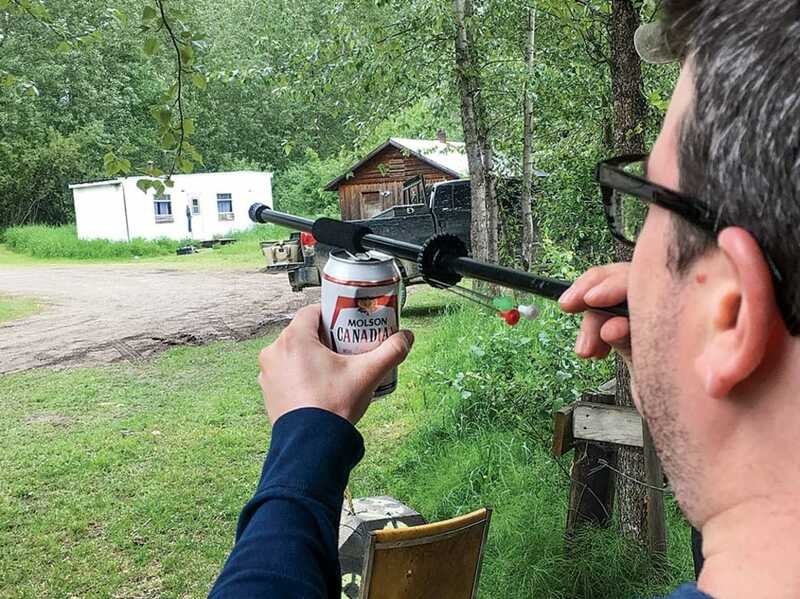 As the game went on, we got more inventive, attempting lob shots, using beer cans as shooting rests, and trying bend-over-and-shoot-between-your-legs stunts. Needless to say, many darts were lost. I’m not sure who won. After a while, I think, we stopped keeping score. Probably because no one wanted the game to end. To book a B.C. 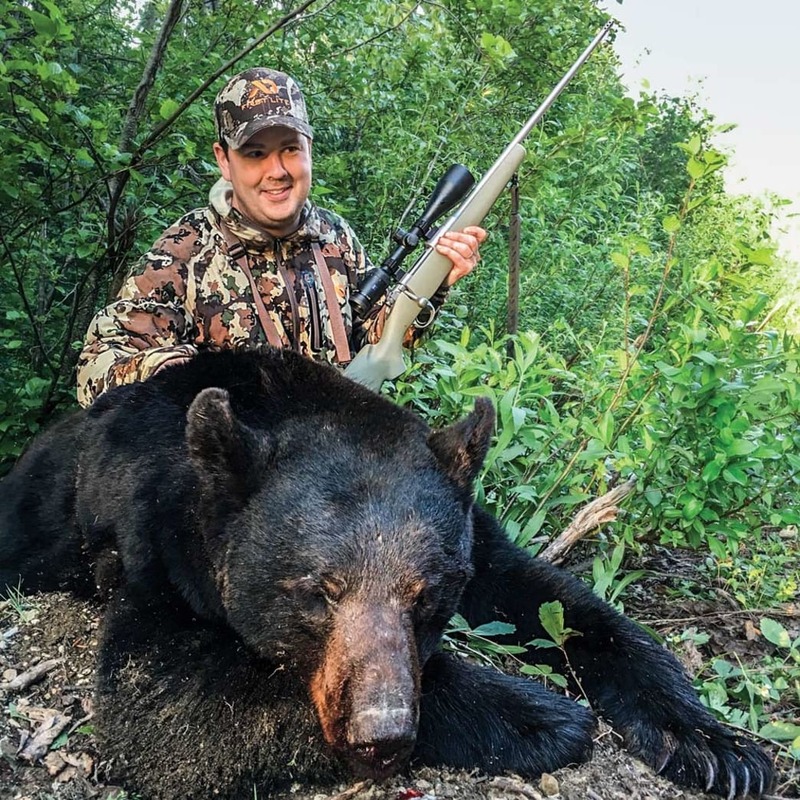 black bear hunt with Jeff Lander and his fantastic crew of guides, visit Primitive Outfitting. Written by Colin Kearns for Field & Stream. Bird Watching. 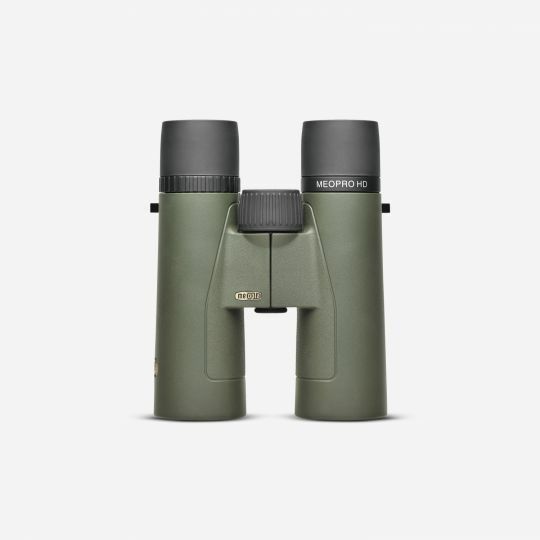 Hunting without a gun with Meopta Binoculars. Hiking Mt Washington in world's worst weather with a 7 year old. Life comes Full Circle while hunting in the outdoors! 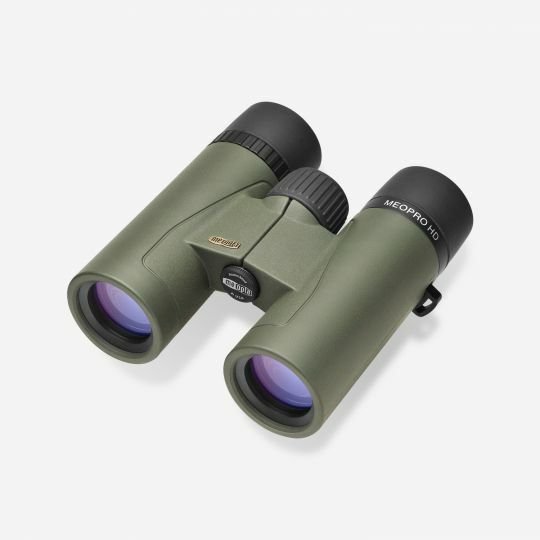 The American assembled MeoPro HD 8 X 42 Binocular offers an extremely wide field of view (414 ft.).